If you’ve ever taken note of British royal weddings since the inception, you’ll surely say that these gorgeous, dressy events won’t be complete without statement hats and headdresses. It has been a beautiful tradition. And it’s awesome how those pieces can instantly give the right outfits a classic elegant touch. It would be lovely to be invited in one, but hey, you don’t have to attend a British royal wedding just to give yourself a reason to wear the hat that you love. Sure thing, designer hats are a must-have in your style staple. You just have to know how to mix and match it with your outfits so that your style is always on point. And wouldn’t you love to be #ootd-ready every time? Hats can be the easiest addition to your total look that’s instantly Instagram-worthy. Talking about stylish hats, the Tenth Street Hats gives us tons of #ootd ideas with the great options they have on site. Why would you spend your money on different hats anyway? You think using umbrella is hassle. Sure thing, most guys hate carrying around an umbrella. But many girls do, too. If you fall into this category, you surely know well how your dear mom would react. She’d be like, “What are you doing to your skin? Do you want dry, sun-damaged skin? Want to look 10 years older?” So, you’re left with no choice but follow her order. You open your umbrella anyway. But with piles of documents or books on one hand, or perhaps, you’re carrying way too many shopping bags, and yet, you have to hold that umbrella with your other hand, it really sounds like a hassle. And it really is, even to girls who are totally okay with it. But most especially, to clumsy girls, imagining this situation is already intimidating. Just so you can finally stop complaining, well, just apply tons of sunscreen on your skin and wear a really nice hat. Yes, hats are made for us clumsy girls who can’t manage to carry around too many stuff with just two hands. Or if you think that umbrellas are just meant for the rainy days, then, hats are a great substitute to protect your face from sun damage. In addition, your hair can smell great even throughout the day if you wear a hat. Without any protection, it can smell sweaty, or sunburnt—simply put, a hair that smells unpleasant. Look at how blogger Melissa Koh looks so fresh and laid-back with her off-shoulder dress, white hat, and white sneakers. Check it out here. You are a backpacker travelling frequently by air. Just like the same reason written above, we use hats for sun protection. When it comes to sun protection though, umbrellas are actually better. However, umbrellas are not allowed inside the plane. If you have it inside the bag you’re bringing inside the plane, it would most likely be confiscated during bag inspection at the airport. So, if you’re only bringing one bag during your travel, which is the hand luggage you’ll take inside the plane, bring a hat instead as a substitute for umbrella. Also, bring a rain coat so that you are prepared just in case you encounter downpours. You are a constant beach-goer. Girl, that’s a no-brainer. A long summer dress, fabulous sunglasses, nice pair of sandals or flip-flops and a cute sun hat to top it all—you know for sure that this is what you call the beach dress code that’s been around since beaches existed. 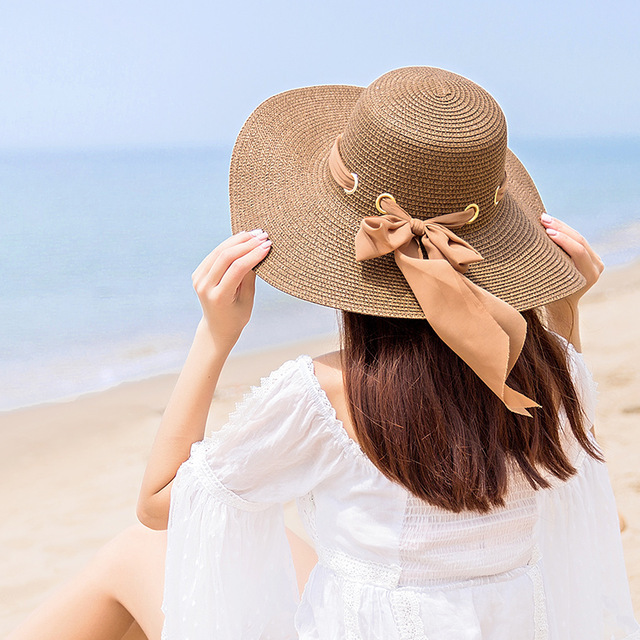 Choose a great sun hat that matches your dress and you’ll surely get the instant chic look at the beach. Also, take note how hats make the flatlay game strong! In this day and age of Instagram, you probably should keep up with how creative people do their flatlays. Hats are a classic, never-getting-out-of-style element that you can include in your flatlay composition. Yas, girl, for the sake of your feed. You love taking touristy photos. It’s one quick fix for your bad hair days. Because, come on, no matter how you try or no matter how you wish you won’t have it, you’ll still have some bad hair days. Perhaps, not really too bad, but there are just some days when you feel like your hair doesn’t feel great or you feel like it’s less manageable. And when it’s a bad hair day, many of us girls feel grumpy and ugly at the same time, which adds further disaster to how you carry yourself. Want one quick fix? Tie your hair into a low bun or a loose fishtail braid on one side. You can also turn your locks into loose mermaidy waves. Then, complete it with a hat. It’s that easy. Now, you can fix your bad hair days real-quick and stylish with easy hairstyles that look good with a hat. It can quickly hide some blemishes. You know that feeling when you hate to go out because there’s one angry red zit on your forehead? But, you got errands to do like grocery shopping, or you might have classes to attend to. While you’re on the process of getting rid of that pesky pimple, wear a hat to easily hide the blemish in style. 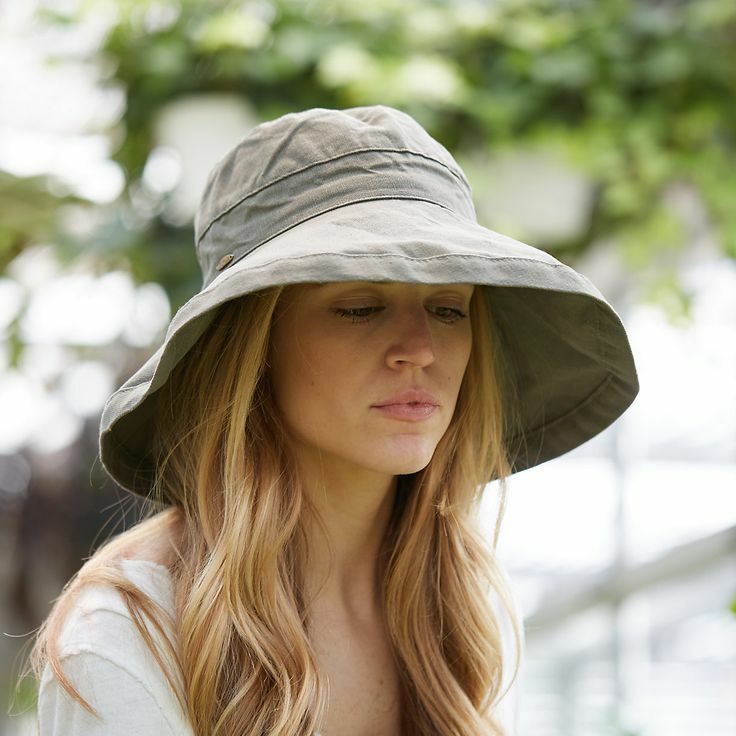 Whether you’re constantly out in the sun, or you simply want to add an instant cool, or chic factor in your total look, stylish hats can easily do the trick for you. As much as possible, select neutral colors so that you can easily match them with your outfits. Sun hats, fedoras, beanies, ivy caps, and baseball caps are just a few of must-haves. Collect the ones that you love now!